This has left us with very little knowledge of the social life of the Highland people during a very interesting part in their history. During those years between the Reformation and the “45,” the Highlanders occupied a veiy prominent part in Scottish History, and it is their misfortune to have their deeds recorded by historians who showed no disposition to do them justice. While their bravery and military prowess could not be denied,—as in disparaging their bravery that of their opponents would be still further degraded,—the meanest and most mercenary of motives were attributed to them. The chiefs were represented as being actuated not by sympathy or principle, but from their inherent love for rapine and disorder, while their followers were supposed to have no choice in the matter, but to blindly follow their chiefs without questioning the object or cause. We are not so much concerned in the meantime as to the part the Highlanders took in the events of those stirring times. Many of the facts are recorded in history, and their bitterest enemies cannot deny them the credit which is their due, and we may hope some day to see a History of Scotland that will do them the justice their conduct deserves. Our purpose at present is to give so far as we have been able to gather from the limited sources at our command, an account of the social life in the Highlands during the last century, and the early part of the present, before the great changes consequent on the introduction of the sheep-farming system took place. Life in the Highlands in those times was very different indeed from what it is at the present day. In a purely pastoral country like the Highlands, nearly the whole population was necessarily occupied in one way or another about the land, and everyone must consequently have more or less land, according to his station, for the maintenance of his stock, which constituted the wealth of the country. The land was divided in the first instance in large tacks among the chieftains or head men, who occupied what was termed “so many peighinnor penny-lands, and for which they paid a certain tribute annually, partly in kind and partly in money, in support of the dignity of the chief. These men again let out portions of the land to the common men of the tribe, for which they received payment in kind and also in services, such as cutting and stacking peats, tilling the ground, and securing the crops, &c.
These services were rendered according to a regular system, so many days at peat cutting, at spring work, or harvest, &c. When the services were rendered for land held direct of the chief, they were termed Morlanachil or Borlanachcl. When for lands held of the tacksmen, they were termed Cariste. So long as the patriarchal system prevailed, these services were neither so severe nor so degrading as they became in later years, when the chiefs lost all interest in their people. When the strong arms and loyal hearts of his clansmen formed his only wealth, the chief was very careful of the comfort of his people, and the tacksman were bound to treat them justly, as the chief could not depend upon the loyalty of an unhappy people. When, however, with altered circumstances, after the passing of the “Hereditary Jurisdiction Act,” they lost the power they formerly held, of combining together for the purpose of warfare, their love for their people ceased; farms were let to the highest bidder, and in most instances, south-country shepherds and stock raisers, took the place of the Highland gentlemen tacksmen. Then the position of those who were left as sub-tenants, became uncomfortable in the extreme. The former tacksmen, from their kindly nature and clannish sympathies, would naturally treat them kindly, but the new-comers, whose only interest was the making of money, considered them only as lumber in the way of their sheep and cattle, and services which formerly were rendered as an indirect way of maintaining the dignity of their chief, soon became degrading in their eyes, and very grevious to be borne. The land held by the members of the clan under the old system, was divided into townships, usually leth-pheighinn, or half-penny land to the townships. Penny-lands were of different sizes, probably according to their value, or custom of the district. Skene says, that the average township in the Mid Highlands consisted of 90 acres within the head dyke, of which 20 acres were infield, 15 acres were outfield, 10 acres meadow, 35 acres green pasture, and 10 acres woody waste, and the moorland behind the dyke 250 acres. The arable land was usually held on the runrig system, a third of the land being divided by lot every three years, while each had a stated amount of stock on the hill pasture. Besides the regular rent charge, each member of the clan contributed according to his means on great occasions, such as the marriage of a son or daughter of the chief. These contributions, in the aggregate, frequently amounted to a good deal. It was customary, even on the occasion of the marriage of an ordinary clansman, for the neighbours to make a contribution of useful articles so as to put the young couple in a good way of house keeping. At the time of which we write there were no slated houses in the Highlands, with the exception of the castle of the chief and chieftain. The common houses were built upon the same plan as many of the crofters’ houses of the present day, with the fire on the middle of the floor. Many of them had the cattle in the one end of the building, with only a wattle partition plastered with clay, dividing them from the part occupied by the family. Many more had barns and stables apart from the dwelling, but were irregularly placed. From the ruins of hamlets still easily traceable on every hill side, it can be seen that the habitations of the tenants of former days were built more substantial, and with more ideas to comfort than the huts of their successors the crofters. One cannot, on examining the ruins of the many castles in the Highlands, but be struck with the extraordinary strength of the buildings, and it is difficult to imagine that they could have been the work of the barbarians our ancestors are supposed to have been, if we believe all we are told by the historians. In order to give them strength they were built on the ledges of rocks, or on the most inaccessible promontories, which would make it a very difficult undertaking, even with all the machinery of the present day. What it must have been in those days it is difficult to imagine. These buildings took such a time to put up, and cost so much labour, that it is not astonishing that the minor gentry contented themselves with houses of a less pretentious kind. In foretelling the many changes that were to come over the country, Coinnecich Odhar, mentions among other things, that there would be a “Tigh geal air gach cnoc,” a white house on each hillock, which has been verified in some districts at least. It is a source of astonishment to strangers visiting the Western Isles, that the people are content to live in such houses, as many of them inhabit. From a careful study of the Highland question, I have become convinced that it is more the misfortune than the inclination of the people, which causes such an apparent want of desire to improve their surroundings. I am satisfied that notwithstanding the insecurity of tenure in the past, they would not content themselves in such houses were it not the great difficulty of procuring timber, there being very little growing timber in the islands. This is easily seen, as in those districts in the Highlands where wood is easily procurable, the houses are of a superior class, and even in the islands, whenever a crofter made a little money, his first care was to improve his dwelling, though frequently at the risk of an increase of rent. The rearing and dealing in cattle was by far the most important industry in the country, and even the principal gentry were engaged in it. They collected all the cattle, which they bought up usually in the month of September, and drove them to the Southern markets. The transporting of a drove of cattle in those days, was a laborious work, as well as a very risky one. In many cases they had to pay tribute for permission to pass through the land of a clan with whom the owner did not happen to be on good of terms. They often ran the risk of encountering some of the Ceathctrnachs, or broken men who infested the mountain passes on the road, and losing some of the droves, unless the drovers were strong enough to hold their own. In many cases the drovers did not pay for their herd till their return, and then they went round their customers, and paid them with scrupulous honesty. Most of them being gentlemen of honour and position in their respective districts, the people considered the transaction safe. When occasionally they were disappointed, the unfortunate thing was that they had no redress—there was no petitioning for cessio in those days. Rob Donn, the bard, who was frequently employed as a drover in the interest of his chief, Lord Reay, and others, composed a very scathing elegy on the death of one of these characters, who died at Perth, on his way home from the South. From the want of roads, cattle was the only commodity that could make its own way to the market, the small Highland breed of sheep which was reared in the country at that time, was not usually sent to the Southern markets—this breed of sheep which is now nearly extinct, with the exception of some few still reared by the crofters in the Island of Uist, is a hardy little animal, the wool of which is very fine, and the mutton exceedingly sweet and tender. I have seen some rams of this breed, with as many as four, or six horns. The honourable profession of “cattle lifting” was not classcd as a common theft—far from it. Many a Highlander is still proud of his “cattle lifting” ancestors. It was customary for a young chieftain before being considered capable of taking part in the affairs of his clan, to make a raid upon some other clan with whom they were at feud, or into the low country, whence they considered every man had a right to drive a prey. Some clans obtained a greater notoriety than others as cattle lifters. The MacFarlans were such adepts at the work, that the sound of their gathering tune “Togciil nam bo” was enough to scare the Lowland bodachs of Dumbartonshire. The MacGregors, again, had a world wide reputation in the profession, while the MacDonalds of Glencoe and Keppoch, and the Camerons in the Mid Highlands, were not far behind them in excellence, and my own clan in the North rejoiced in the flattering patronymic of “Claim Aoidh nan Creach.” It so happened that those clans who bordered on Lowland districts, were more given to pay their neighbours those friendly visitations. In several districts there are corries pointed out where the cattle used to be hid ; as a rule they are inaccessible, but from one narrow opening, which could easily be defended against any rescuing party. It is peculiar that a very high code of honour obtained among even the most inveterate reivers. A Highland reiver would never stoop to anything less than a cow from a rich man; the property of the poor was always safe from them. Private robbery. murder, and petty thefts were hardly known. It may be said there was nothing to steal, but there was comparative wealth and poverty as elsewhere, and the poorer the people were, the stronger the temptation to steal, and the stronger the principle must have been which enabled them to resist it. This scrupulous honesty was not confined to the property of their own kinsfolk, the effects of strangers who might happen to be among them were equally safe. They were most scrupulous in paying their debts, and such a thing as granting a receipt or a bond for money lent, would be considered an insult—Dh ’fhalbh an latha sin! There was an old custom of dealing with people who did not pay their debts. The neighbours were convened and formed into a circle with the debtor in the centre. He was there compelled to give a public account of his dealings, and if the judge considered that he had not done fairly, a punishment called “Thin chruaiclh ” was administered to him. He was caught by two strong men by the arms and legs, and his back struck three times against a stone. The instruments of husbandry in those days were of the rudest description. With the smaller tenant the greater part of the tillage was done with the ccis-chrom, same as now used by the crofters in many districts. The plough then in use was entirely of wood, with perhaps an iron sock, and was drawn by four, and often by six horses. The horses were yoked abreast, and were led by a man walking backwards, another man held the plough, and a third followed with a spade to turn any sods which might not happen to be turned properly. The whole arrangement was of the most primitive description, and would look very amusing at the present day. The harrows had wooden teeth, and sometimes brushwood in the place of the last row, which helped to smooth the ground. There being no roads in many districts, carts could not be used, so that goods had to be carried on horse back, in two creels, hung upon a wooden saddle with a thick rug made of twisted rushes neatly woven together. The burden had to be divided, so as to balance on the animal’s back—if this could not be done it was put on one side, and stones put to balance it on the other. There was also a form of sledge used for carrying any heavy article; it was shod with iron, and dragged after the horses like a harrow; another form had trams like a cart. The first was called Losgunn, the latter Carn-slaocl. These are still used in districts where there are no roads. Such a thing as a gig or carriage was, of course, out of the question in those clays; indeed, there are people living, who remember when the first spring conveyance came to Skye. The remains of this ancient luxury are still to the fore. It has hail an eventful history, first in the honored services of the laird, when it carried thereof the island, and was the admired of all beholders. Then it became the bearer of the laird’s factor; from that it came down the hill to the service of a tacksman, and finally settled with a small country innkeeper, where it ended its busy days. The diet of former days was very simple, and no doubt accounts for the immunity of our ancestors from many of the forms of sickness, with which their more degenerate posterity are troubled. They were at that time, of course, necessarily restricted to the resources of our own country, which were much better suited to build up a healthy constitution, than the foreign luxuries of the present day. As far back as the year 1744, in order to discourage the use of foreign luxuries, at a meeting of the Skye Chiefs, Sir Alexander MacDonald of MacDonald, Norman MacLeod of MacLeod, John MacKinnon of MacKinnon, and Malcolm MacLeod of Raasay, held in Portree, it was agreed to discontinue and diseountenance the use of brandy, tobacco, and tea. Though they could not be said to be addicted to drink, the Highlanders of that period used a considerable quantity of liquor, but more as a daily beverage than in drams, as at the present day. Martin relates some curious drinking customs. When a party retired to any house to transact business and had a refreshment, it was usual to place a wand across the doorway, and it would be considered the utmost rudeness for anyone to intrude, while it remained there. Ale formed a great part of the beverages of those days, and houses for the sale of ale were numerous, even in Tiree. It was not till the latter end of last century that whisky was sold in these houses. Drinking at marriages and funerals was frequently carried to excess, particularly the latter. At marriages the dancing and other amusements helped to evaporate some of the exuberance, but at funerals, they drank to keep down their grief, and as they had often to carry the bier a long distance, they took frequent refreshments by the way, and more after the burial, with the result that very unseemly conduct often took place. The Highlanders are not more blameworthy in this respect than others, for the same was practised in all parts of Scotland at that period. These barbarous customs are happily gone, which we have no reason to regret. The marriage feasts were great affairs. They lasted usually for four days—dancing, feasting, and singing songs, being kept up the whole time. The dancing usually took place in a barn, which in some districts, was a building of considerable dimensions, and the friends coming from a distance, for whom room could not be found in the house, were put to sleep in outhouses on shake-downs, or billeted in the neighbouring houses. In the olden times the pipe and the song were frequently heard in every Highland clachan, and the youths of the country could enjoy themselves in a rational manner. Shinty, putting the stone, tossing the caber, and other manly exercises, were freely engaged in, the different districts and parishes vying with each other in friendly rivalry, but the Calvanistic doctrines of the Highland clergy preached all the manliness out of the people, and I don’t think that even they will be bold enough to assert that they have preached anything better into them. Strange that after two hundred years of this denaturalizing process, the Gaelic language is spoken by more people now than it was then, and looks quite robust enough to stand two hundred years yet. As might be expected from the rude implements of husbandry in use, the ignorance of the best modes of agriculture, as well as the want of roads and communication with the southern markets, there were occasionally seasons of severity owing to bad harvests, and in such times, the poor people were reduced to sore straits, and were it not for the kindly feeling which existed among the different classes of society, serious consequences might have happened, but in those times those that had, shared with those who had not. In seasons of severity, many had recourse to a very barbarous means of increasing their store of provisions, by bleeding the cattle and mixing the blood with meal, which was said to make a very nourishing diet. Besides the usual butter and cheese, they made many preparations of milk, such as “crowdy ”—that is, the curdled milk well pressed, and cured with a little salt and butter. “Onaich” or frothed whey. This was done with a stick having a cross on the end, over which was placed a cord made of the hair of a cow’s tail. This instrument was worked round in the whey swiftly between the two hands, which quickly worked it into a thick froth. Another more simple preparation was the. “Stajjag,” made of cream, with a little oatmeal stirred into it. After the introduction of the potato, there was no famine in the Highlands till the unfortunate failure of that crop in the year 1846-7, and owing to the changes which had taken place by divorcing the people from the soil; that famine is counted the severest that is known to have visited the country. Of course, it must be understood that the Highlands was not the only part of the country that had these periodic visitations of famine; such were quite common in these times in the most fertile districts of England, before the principles of agriculture were so well understood. It is, however, melancholy to reflect that while other districts of the country have been making great strides forward in social progress, and that while in every other place “two blades of grass grow where only one grew before,” in the Highlands, the reverse is the case. Where corn and barley waved a hundred years ago, heather and rushes grow luxuriantly to-day —a sad comment on our civilization and progress ! He knows but little, I think, of Highland history who does not admit and deplore the absence in our day of some of those splendid elements of character, the kindly feelings of mutual confidence that bound the people to each other and all to their chiefs, the conditions of life and surroundings under which the people lived, so favourable as these were to the strengthening of those ties and the development of those traits of character for which our ancestors were distinguished. Contrast those times with the present, and look upon the almost distracted condition of the Highlands—agricultural and almost every other industry on the verge of ruin ; and instead of the old feelings of mutual confidence and attachment to their chiefs, you have almost everywhere a discontented people, in some districts at open variance with their proprietors, the natural successors of those to whom in a former age they were so firmly attached. Look at the wilderness aspect of those straths and glens, which even in times and under circumstances less favourable to agriculture and stock-rearing in the Highlands, supported thriving contented communities. Look at the uncomfortable condition of the landless masses, who either struggle on patches of unsuitable soil or form the unproductive populations of the towns and sea-coast villages ; and I think it must be admitted that whatever difference of opinion may exist as to the causes and remedies, there can be no difference of opinion as to the fact that the social condition of the Highlands is not satisfactory, and contrasts unfavourably with the past, in days not long gone by. It is sometimes said that the mere rehearsal of grievances and wrongs, which, to say the least, originated in a past age, and for which a past and departed generation is mainly responsible, is neither fair nor of much practical effect towards having those grievances remedied. To this it may be replied that could there now be traced on the part of the Highland landowners, or that section of the public press which supports their past policy, symptoms of a generous acknowledgment of those wrongs, and a desire to trace the present agitated state of the Highlands to something like the natural causes, then, I say, we might be expected to (and readily would) draw a veil over much of what is regretable and even discreditable in the past treatment of the Highlanders. We might then be asked from henceforth to say nothing more about the clearing of the straths and glens, or that purely commercial policy which, to make room for sheep and deer, drove the best of the people into exile, or to the morally as well as physically unhealthy atmosphere of the towns. This short and ready explanation of the present condition of the Highlands is not satisfactory to many who have given the subject some earnest impartial attention. Many—and their number is increasing—believe that the present agitation originated not two years or twenty years ago, but that it originated many years ago along with, or rather out of, that policy of the depopulation of the rural districts which so much altered and disturbed the social life of the Highlands. Every small holding extinguished so as to increase the size of the big sheep farm, every acre of ground thrown out of cultivation to increase the dimensions of deer forests —these, and not a recent bad harvest, were the incidents that helped to develop it; and what more than the appointment of the Royal Commissioners gave this agitation its recent activity and notoriety, is the development of Mr Winans’ deer forest, which, not content by the swallowing of thousands of acres of good laud stretching from the East to the West Coast of Scotland, threatens to clear off the land of their ancestors the entire community of crofters and cottars, not even tolerating the bleat of Murdo Macrae’s pet lamb on the fringe of tins huge forest. These matters surely had, and have, something to do with the present condition of the North; and yet in Lochiel’s excellent speech they found not a single reference. There is, however, another class of speakers and writers who, when dealing with the present state of the Highlands, not only ignore the primary causes of the present trouble, but assume a tone and give expression to sentiments that certainly are not calculated to soothe the irritations that unhappily exist. I refer to those who profess to see in this movement an agitation originated and fostered by external influences only. By such critics those who venture to condemn the depopulating of the past, or demand the redress of present grievances, are branded as outside agitators, actuated by selfish and unworthy motives. Now, although the history of this movement warranted this tone and these insinuations in a greater measure than it does, I think it is an exceedingly ill-advised method of dealing with such a social agitation, especially among Highlanders. To attempt to suppress a constitutional agitation for the remedy of recognised and well-defined grievances by mere bullying ; to drag the names of respectable and loyal citizens who express sympathy with the people through the press in columns of sarcasm and ridicule, is as foolish as it is unfair. Such treatment has a two-fold pernicious effect on this or any similar movement; it deprives the agitation of the advice and influence of many who, while quite in sympathy, are too sensitive to face the sneers and sarcasms to which connection with such a movement exposes them. But this is not all, for just in proportion as the more sensitive (not unfrequently the more real) people are alienated, in the same ratio does the control and guidance of the agitation fall into the hands of those whose personal feelings are not so sensitive, and who on that very account will, in the final adjustment, show less regard to the feelings and interests of the other party in the conflict. I do not know that there are many lessons that the modern history of Europe teaches more forcibly than this, or an error more frequently repeated in dealing with agitations for the redress of social and political wrongs. It is to be hoped, indeed, from the past history and character of the Highland people, we may say it is absolutely certain, that this Highland movement will never show any trace of similarity to that of France or Ireland. At the same time, I hesitate not to say that should this agitation in the future develop a more objectionable tendency, the responsibility will rest on the apathy of those who are now appealed to for reasonable remedies. To any one who has given the least attention to the past history of the Highlands, the theory that the present agitation and the unfortunate relationships existing in some places between proprietors and people is the mere outcome of outside influences and agitators, is as unlikely as it is absurd. The present agitation would never have originated, far less assumed its present importance, did there not exist in the conditions and surroundings of the people abundance of that material on which such agitations flourish. The feelings and sentiments of a people, especially the Highland people, towards their superiors and landlords could never have undergone such a manifest change at the bidding of any outsider, however influential, or under the promise of rewards, however tempting. A little less than a century and a half ago the powerful influence and threats of the English Government was brought to bear on the Highlanders to induce or compel them to turn their backs on their chiefs and the cause they supported. What a strange contrast does the conduct of the people of that time present to the present. Then neither the threats, the promises, nor the dazzling reward of £30,000 offered by the Government, would induce the men and women of Skye to forsake their chiefs or the prince whom they believed to be their sovereign. Now the scene is changed, and the Central Government has to send the military to Skye to enforce those obligations which, in a former age, no pressure or reward would induce the people to violate. Such a change as this indicates in the temper and relationship of proprietor and people affords surely food for reflection, not only to the proprietors, but to the nation as well. When troubles surround our wide-spread interests abroad, and when even still more alarming dangers manifest themselves in our large towns at home, it is surely not a time to alienate the affections of a people always the most loyal and law-abiding—a people who have more than once proved the country’s protection in the hour of need. In the face of the abuse heaped on those who now venture to sympathise with the present grievances, and condemn the policy which has so depopulated the rural districts in the Highlands, it may not be out of place to notice that, if they err, it is in the company of many with whom it is no small honour to have any association whatever. That the Highland people have got but scant justice has been quite as earnestly expressed in the past as it is in the present day; and that by men and women with whom, in point of culture, patriotism, and sound sense, the modern critics will bear no comparison. Nearly a century ago, and just when in the new departure in the Highlands sheep and deer were replacing men, that lady of culture, Mrs Grant of Laggan, in some of those splendid “ Letters from the Mountains,” took occasion to denounce the clearances, and express her sympathy with the people. General Stewart of Garth, who thoroughly appreciated the character of the Highlanders and their military value to the nation, reiterated the same opinions. Hugh Miller, whose deep philosophical mind and scientific mode of thinking and writing would surely place him above suspicion as a mere agitator, saw the wrongs inflicted on the people, and denounced them in the severest language. The Macleods of Morven wept and sung melancholy dirges over the desolations that surrounded their once populous parishes. And what shall I say of that brave and gallant youth who, to the grief of his countrymen, recently lost his life in that struggle that has now cast such a halo of melancholy interest over the Soudan. In John A. Cameron, of the Standard, the Highlanders lost their latest and best friend. His life, short as it has been, was far too real to allow vague theories and sentiments have for him any attraction, and yet his chivalrous nature responded to some of the grievances of his native Highlands. During the earlier troubles in Skye his stirring letters to the Standard newspaper gave the social condition of the North an interest to the higher circles of English society that it never had before, and from the publicity thus obtained good will follow. Some of his latest literary work before leaving for the Nile were, I think, papers in some of the magazines bearing on Highland subjects. In one of these he drew public attention to the degenerating composition of the Highland regiments, deploring that some of these were fast becoming Highland in name only, by the necessity of filling the ranks from the large towns. Another, a paper entitled “Storm Clouds in the Highlands,” is full of melancholy interest, giving ample promise that had he lived the best interests of his native Highlands would have in him an earnest advocate. If it were really necessary to say more to vindicate the justice of the claims made on behalf of the Highlands by referring at greater length to the character of those who in the past as well as the present recognised and advocated those claims, I might furnish you with a list long enough of Scotchmen and Englishmen whose very names and association with this movement should protect it from the harsh criticism we are so accustomed to hear. When the critics and newspapers who ridicule the efforts of those who in the present day advocate land law reform in the Highlands shall be forgotten, a future age will set its proper value on the services rendered by such men as Professor Blackie, Mackay of Hereford, and the ever-increasing band who are at present fighting the people’s battle. I would not refer to this matter so much for the mere object of indicating the character and motives of the Highlanders and their public friends, even if this were necessary, as it is not, but I avail myself of this opportunity of protesting against harsh and unfair insinuations on public grounds, and in the interest of law and order throughout the Highlands, and as such criticism has a tendency to irritate and rouse feelings once awakened not so easily calmed down. It is hardly necessary for me here to say that the greatest obstacle in the way of social reform in the Highlands at present is the conduct of those of the people who, in their efforts to obtain redress, do not strictly adhere to constitutional and peaceable means, and who, while able to do so, refuse to discharge obligations which honour and morality demand. Highlanders should at this time in particular remember that every act of lawlessness, as well as every unreasonable demand, throws discredit on their movement, and frustrates the best efforts of their friends. Let me now assume that what I have so far been pointing out is to a certain extent at least correct; let me take for granted that you admit that there are in the circumstances and surroundings of the people grievances that call for remedies; let the characters and motives of those who advocate those remedies be at least respected; let landlords and factors, county officials, and a section of the press, for a time at least, sheathe those weapons of cold indifference and active irritation which have hitherto marked their attitude towards this movement; and then, and not till then, I venture to say a foundation lias been obtained on which good will and mutual co-operation may yet build a future of peace and prosperity for the Highlands. I say mutual co-operation, for if the present condition of the Highlands is to be improved, three parties must co-operate, each fulfilling their respective obligations—the Legislature, the proprietors, and the people. Speaking generally, this combined action must tend in the immediate direction of gradually reversing the policy which has for so long influenced land legislation, estate management, and the system of agriculture in the North. The unnatural exodus of the people from the rural districts into the large towns and villages must be stopped : not by any arbitrary or artificial means, but by creating in the rural districts conditions of life and surroundings more attractive than at present exist. This process of clearing the people from the rural districts, and the natural effect of rapidly increasing the population of the towns, is unhealthy and dangerous. The whole tendency of the present land laws and systems of estate management encourages this process. What of the land that is not idle and unproductive is year by year passing into fewer hands ; there is thus less labour needed and less food produced. A first step in the right direction would, I think, be the immediate alteration of those laws of entail and primogeniture that at present bind up so much land in the nominal hands of those who have neither the power or the means to develop its resources. A veto must at the same time be put on the further increase of deer forests, or such other arrangements as withdraws the land from its proper use, and limits the quantity. Without the active interference of the Legislature, I think that from the present state of agriculture in this country, and the evident collapse of the past system of large farms, the good practical sense of the proprietors will encourage an immediate increase in the number and size of small holdings. Legislation must, however, give the tenant a tangible security of tenure, and an undoubted claim to whatever improvements he makes or additional value he adds to his holding, with a perfect right to dispose of his interest in the same to the best advantage. In connection with this, it is often said that security of tenure with or without leases already exists on most estates in the Highlands. In reply to this, it need only be said that that security of tenure a man holds dependent on the goodwill of his proprietor or the customs of the estate, is by far too unsatisfactory aud precarious, compared with that security established by law. A change of proprietorship, a mere dispute with one of the estate officials, may disturb the former, while the latter is dependent only on his proper performance of his lawful obligations, and is much more conducive to independence and a greater incentive to industry. Placed in a satisfactory position in his tenure and in his rights to his improvements, I do not know that it would be desirable to fix rents by legal processes such as the proposed land courts. This, I fear, would tend to create new difficulties, and lead to frequent and expensive litigation, adding to the objectionable extent to which our social and business arrangements are already in lawyers’ hands. An agricultural holding, like other places of business, must always be more or less affected by other circumstances than the position and nature of the soil, such as the amount of industry and intelligence brought to bear upon it; and no land court, however impartial, can on the whole so surely and safely determine the value of such holdings as the healthy action of the natural law of supply and demand. Here, however, we are at once confronted with the great difficulty in the Highlands, the limited quantity of land available for the multiplication of small holdings. At present the tenant looking out for such is placed at an enormous disadvantage ; he has to make terms for a commodity the value of which is naturally increased, and the supply of which is restricted by the long operation of unhealthy influences. This, however, is surely a difficulty that the wisdom of Parliament and the proprietors ought to be competent to deal with. The unprofitable history of large farms for the past few years, and the greater success attending the smaller holdings, clearly indicate that even in the interest of the rent-roll the increase in the number of the latter is advisable. The alternative of deer foresting large farms falling vacant, so much acted on of late, is one not in favour with popular opinion—in fact, it is not only in the rural districts but in the large towns becoming regarded as a social evil, limiting the food-producing capacity of the country. Any one who studies the signs of the times can see that “ the coming democracy” has its eye on this and similar alienation of land, and if these matters once become the subjects of practical legislation, we may depend upon it that the reforms effected will be much more drastic than the reasonable concessions that are now demanded. But let me now suppose that the difficulty of the present limited area of land available for small holdings be got over by the voluntary breaking up of the large farms and the compulsory curtailment of deer forests, we are again confronted with the next difficulty, the want of means on the part of the great body of the people to stock such holdings. Now, every one admits that in the present condition of the Highlands this is a difficulty, but I cannot help thinking that it is a difficulty to some extent exaggerated, and a difficulty very much occasioned by the policy of the past, for which the people are less responsible than is usually admitted. On this account, the inability of the people to stock the land ought to be referred to in a more kindly and considerate manner than is sometimes done. 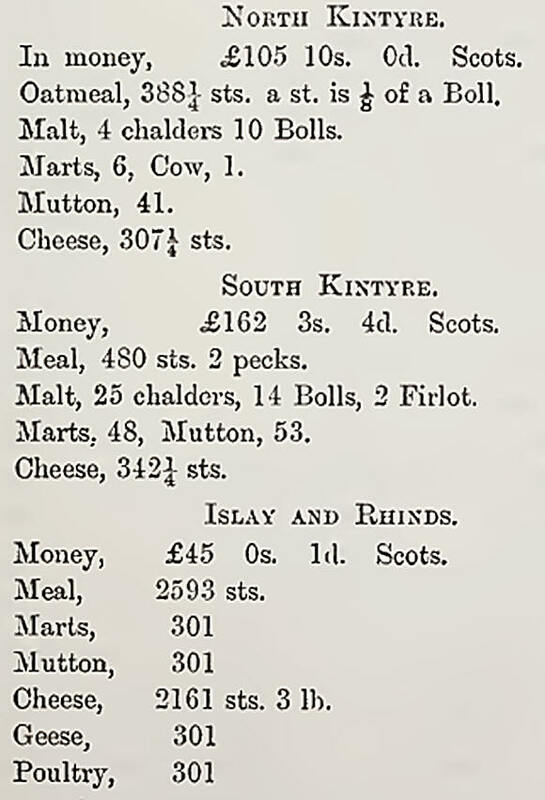 If many of our Highland people have not the means to stock the land with, we must not forget that they once had means, and stock too, but in many instances by the sudden evictions from their holdings, they were compelled to part with stock at little value, and the want of subsequent employment soon dissipated the little means that the expenses of removal left. In their present condition, however, the difficulty of want of capital is surely not insurmountable. Once let the Highland crofter have security in his tenure, and a legal right to whatever increase of value he gives his holding in the form of stocks or other improvements, and I am bound to say that the necessary aid will be forthcoming when required. To the merchant, the banker, and capitalist there is no safer investment than the requirements of the holders of moderately sized holdings on such secure footing as 1 have indicated. The scale of their operations does not expose them to the risks and expenses attending a more extensive system. The circumstances are better known to themselves and more readily ascertained by those who have dealings with them. Money invested on the security of industrious Highland small farmers and crofters, and thus employed in developing the resources of the Highlands, is surely as safe and well employed as in those foreign securities that have within recent years swallowed up so much of even Highland capital. I am told on reliable authority that within a few years back considerably over a quarter of a million of money has been lost to Inverness and neighbourhood in investments of this class—surely a strong argument for seeking safer and more creditable investments at home. For the investment of such capital, the Highlands at this moment offer a wide, profitable, and patriotic field. The food-producing powers of this couutry are being neglected, so that year by year we are becoming more and more dangerously dependent on foreign supplies. Not only in the towns, but in country villages and rural districts, the people almost live entirely on foreign food, and not only those commodities for the production of which our soil and climate are unsuitable, but those articles which could be grown and produced in this country better than in almost any other. Every shilling’s worth of such food imported is so much added to the wealth of the nation we buy from, and is equally so much reduction in the wealth of our own. With, I suppose, about 35,000,000 of people in this country to provide food for, the British agriculturist has a wide field for the sale of his produce. 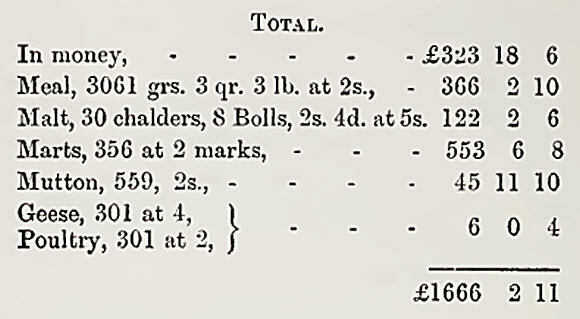 If, as I have said before, we make a large allowance for such articles for the production of which our climate and circumstances may not be suitable, and in the position to compete with the foreign farmer, there is still a wide field in other articles in the production of which the British farmer, and particularly the Highland crofter, might profitably compete. And ten other articles of a similar class. Now, if we have in this country, and in the Highlands particularly, the two great factors in food production, the land and the people, is it too much to say that if not in the interests of the people themselves, then in the wider interests of the nation, these two should be brought together. When legislation will give the Highland people a firmer footing on the land, and place more of it at their disposal; when the present agitation ceases, because its objects shall have been gained ; then will arrive a testing time in the history of the Highlands as trying as any through which they have yet passed. If the people are to preserve not only their own reputations, but that of their ancestors, they will face the new and improved condition in a manner that will command respect. When present grievances are remedied there should be no desire to create new or imaginary ones, and there should be an earnest effort made to revive those feelings of goodwill and confidence—feelings between proprietors and people so happily expressed in the good old motto:—“Claim nan Gaidhcal an guaillibh a elieile.” Then shall our western isles, our straths and glens, romantic in scenery as well as in history, become once again the home of a people who, while they brook no injustice, will readily acknowledge with gratitude such improvements in their social condition as wise legislation and the prudence of the proprietors may bring about.